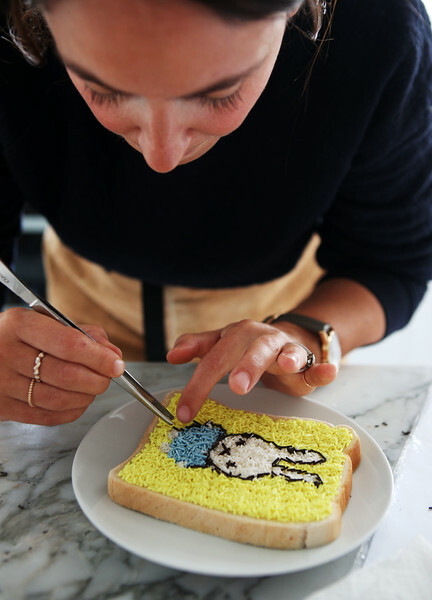 A new café opens its doors to a Dutch cultural experience in central London today, by serving Holland's staple breakfast speciality, boterham met hagelslag - sprinkles on buttered bread. 'Café van der Sprinkles' has been launched by easyJet, in partnership with the Netherlands Board of Tourism and Conventions, giving Londoners the chance to experience a sprinkle-covered taste of Dutch culture and happiness. Over 14 million kilos of hagelslag is consumed by Dutch people every year. The Café activation aims to offer people the opportunity to experience a slice of what it's like to live in the sixth happiest place in the world . The café will be based in Leicester Square at The White Space from Friday 22nd - Sunday 24th September, and offers guests a sprinkle-fuelled adventure into Dutch culture.